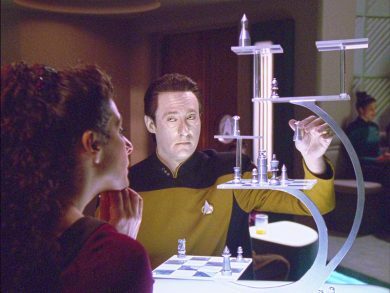 The crew of the Enterprise is struck with amnesia. Worf commands! Picard leads! Data makes drinks! And MacDuff sounds the charge to carry out their mission, and destroy the Lysian Central Command. But who are these Lysians? And – come to think of it – who is MacDuff? All of that plus movie time with Riker and Ro when we put Conundrum… somewhere.